Virtual means not physically existing as such but made by software to appear to do so. Virtual is almost or nearly as described. Yet not completely or according to strict definition, not physically existing as such but made. This is according to oxford dictionaries. As part of it The Ambient Collection offers us a different way to enjoy indoor activities while having a glimpse of what is outside. Do you want to see the world and explore new places? Our DVDs and videos take you everywhere and you don’t even have to leave your house. We are bringing the world into your home and enjoying every second of it! The Ambient Collection was started by Tony Helsloot last 1991 out of love and passion for filming and for the world around. Together with Judith Cruz Gamboa, they are traveling around the globe to film the most stunning places for us. According to them the world is a beautiful place, they just need to slow down a bit more to see all the wonders. Their videos bring relaxation and give everyone the opportunity to discover and explore. Heard about this? 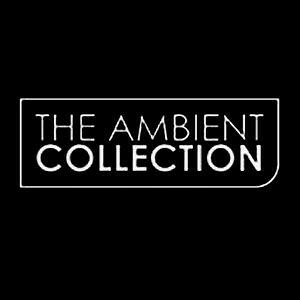 I think not all of us are familiar about this but with the help of The Ambient Collection we can be. Virtual Cycle Rides are another way to experience the realistic 3D binaural local sounds even you’re inside your house or gym. This will give you a feeling of doing a bicycle outside even though you’re staying indoor. In this way it gives people much excitement to push and bike through. Can you imagine seeing the whole beauty of the Philippines or even the real beauty and culture of Manila? Yes all of these are possible with this Virtual Cycle Rides by The Ambient Collection. Personally, I would love t do exercise while enjoying the view even I am just inside the house or even in the gym. At least on this way I can still see the places around me even though I am very busy with work, events and working out. Fun, travel and workout at the same time. This is indeed one of the best feeling ever! If you want to see an example of a Virtual Cycle Rides, check out below. This is a video of a place very close to our hearts. You can also like and follow Travel with Judy. On the other hand you can also check out their website to see more virtual videos you may enjoy. You can use this inside the gym, even in your house, on spas and anywhere you want to see an experience the outside and the whole world.